Looks Like Another Stinking Jobless Recovery: I give up. 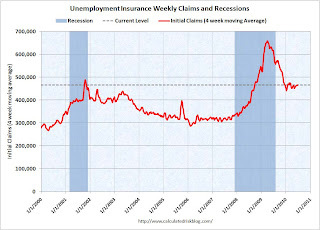 There's nothing pretty about this morning's jobless claims report. As we mentioned in the opener, a Labor Department economist blames the latest rise on the educational services sector, where bus drivers, cafeteria workers and others lost their jobs due to the summer holidays. What a crock of -- I mean, c'mon. Think about it, the school year coming to an end isn't some brand new phenomena; it happens every year at the exact same time. Isn't seasonally adjusted data supposed to take these sort of situations into account? "Bottom line, following the weak private sector job growth seen in yesterday's ADP report, today's initial claims data continues to point to a lackluster labor market and another jobless recovery," says Peter Boockvar, also of Miller Tabak. We don't need excuses, we need action. If the big banks were in trouble, do you think more help would come? I do, and it wouldn't take long. We'd see action. But when millions of people who are are, collectively, every bit as important as a big bank are in trouble, we don't just fail to help them further, there's a battle to stop the help that is there from being withdrawn. Draw your own conclusions, but to me it's pretty obvious who Congress thinks it needs to please.